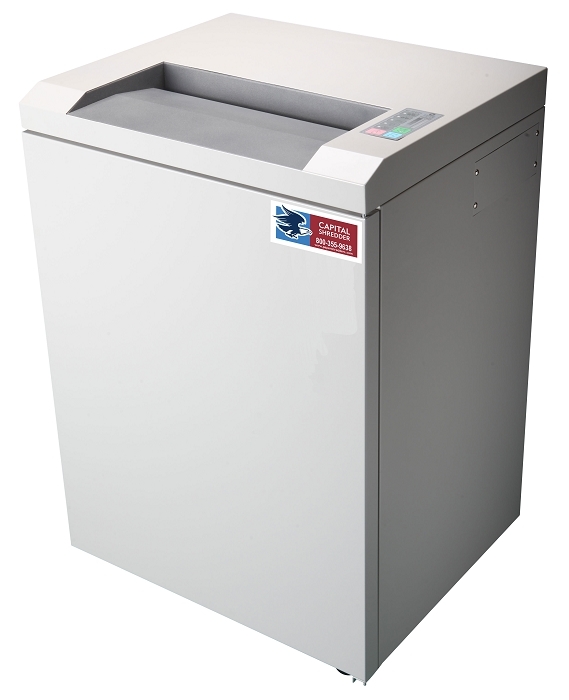 The DL-16X is a Level 3 Cross Cut Paper Shredder built for long term durability and efficiency with an extra-small shred size of 1/12 x 5/8 for added security and a full 16-1/4" Entry Width. With an Enhanced Cutter Design, Large Steel Gears and an All Metal Chain Drive the DL16X uses no internal nylon or plastic gears as is common in lower quality shredders. It also DOES NOT REQUIRE OIL. Oil Free is Green and environmentally cleaner and can result in long term Cost Savings as well. A special Contactless Thermally Protected Motor provides for high performance and quiet operation. An Energy Saving Standby mode reduces power consumption. To reduce overfeeding a Load Indicator Display informs the user of the load status during operation and an Automatic Reverse feature prevents jamming. Automatic Start/Stop or Manual Shredding Operation modes. Safety Interlock Switches shut off the shredder and notify the user when the bin is full or the door is open. A Heavy Duty All Metal Cabinet on Swivel Casters allow for easy mobility.